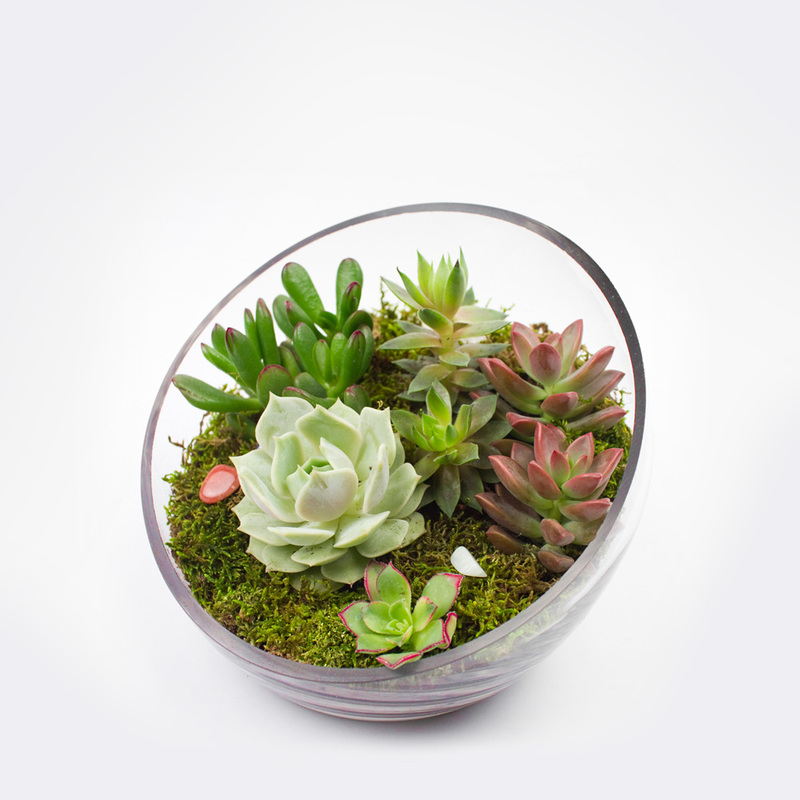 The Egg is a 7″ glass sphere featuring a sharp diagonal cut. 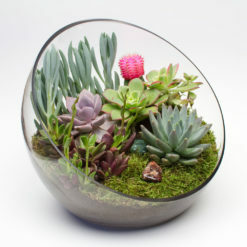 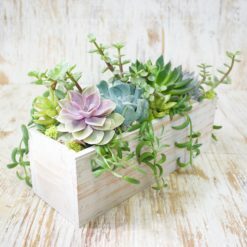 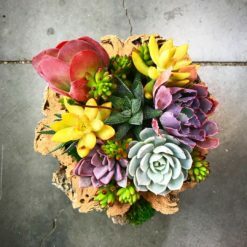 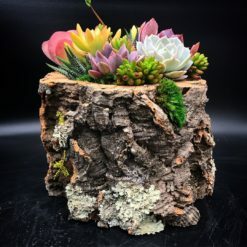 Modeled after the famous egg chair by Arne Jacobsen, it will be a comfy little home for 4 juicy succulents of your choice. 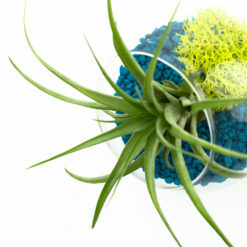 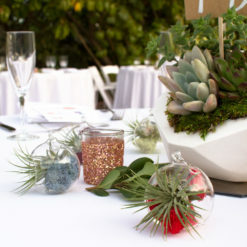 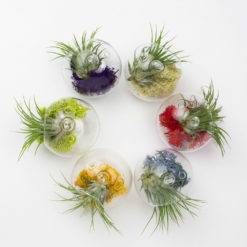 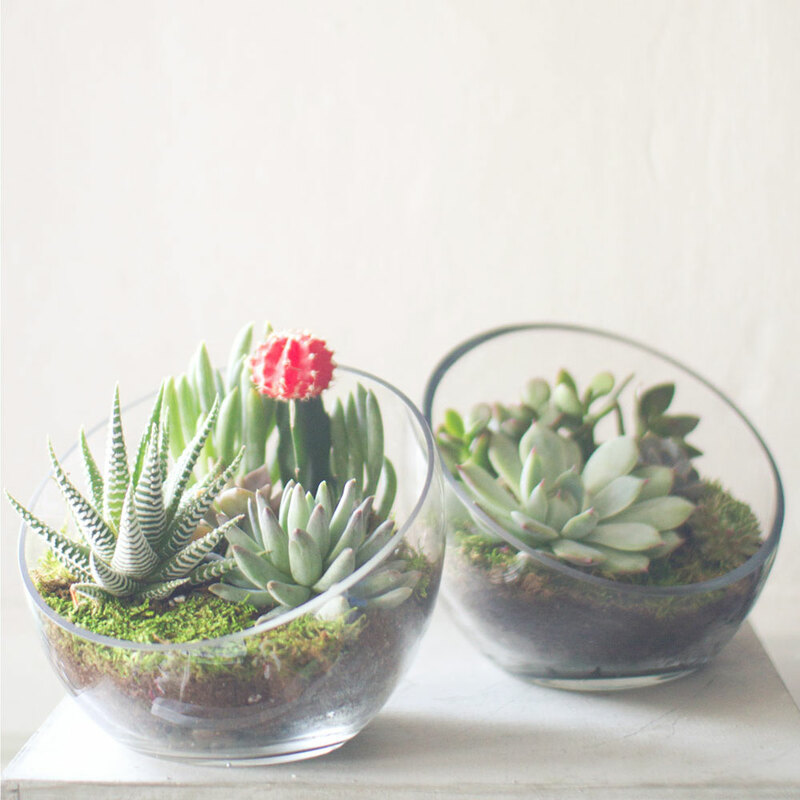 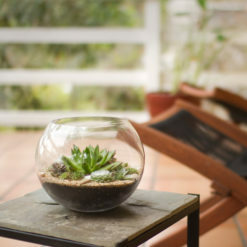 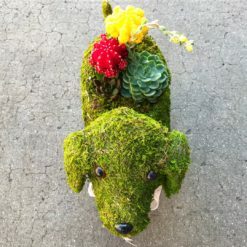 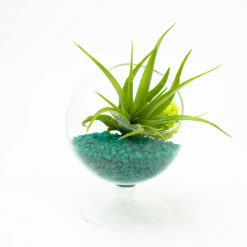 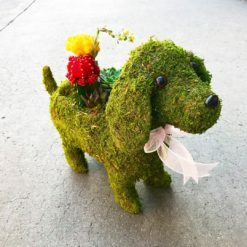 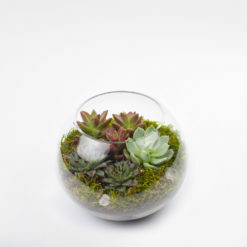 The DIY kit comes with a little more than enough of everything you need to make your terrarium. 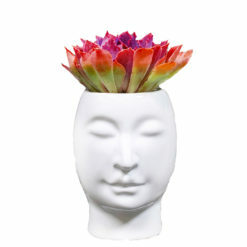 If you want to go big, check out the best-selling Big Ol’ Egg or see Baby Egg for a mini version! 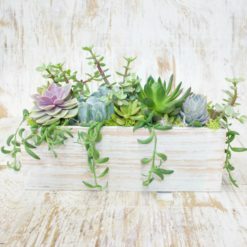 Assorted Cactus & Haworthia(without grafted cactus), Assorted Succulents!, We choice!